The Tour de France is a multiple-stage cycling competition founded in 1903 by Henri Desgrange and Géo Lefèvre, head of the cycling section of the sports paper L’Auto. It’s held every year, with a different route, in France in July. It currently covers over 3,000 kilometres and is organized by ASO (Amory Sport Organisation, Amaury Group). 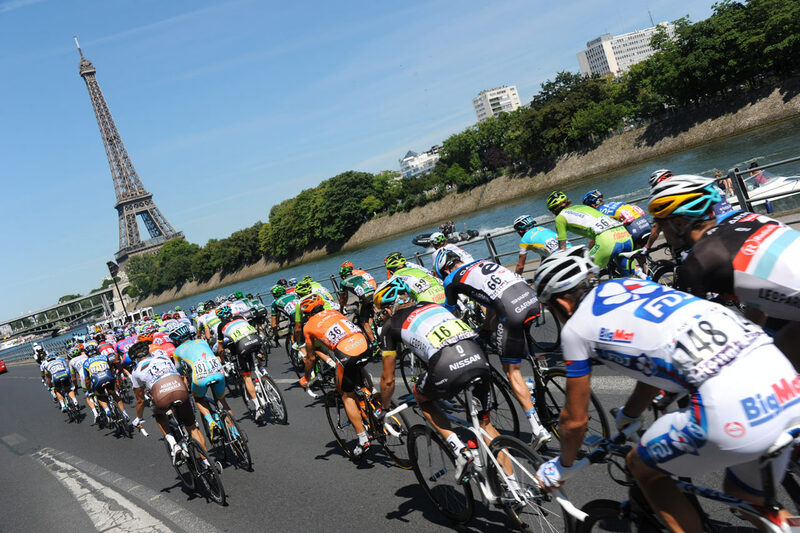 “The Tour”, or “The Grande Boucle” as it’s also known in France, is seen as the world’s most prestigious bicycle race and has an extraordinary global media impact. It attracts 12 to 15 million spectators lining the route, involves 4,500 people and is broadcast on TV in 190 countries, of which 60 live. It’s the second most watched sports event on television after the Super Bowl (excluding the Olympic Games and World Cup, which are not annual). The Tour de France has worked with Holiprom since 2003 to develop its collection of branded sportswear and accessories, which are distributed throughout France.